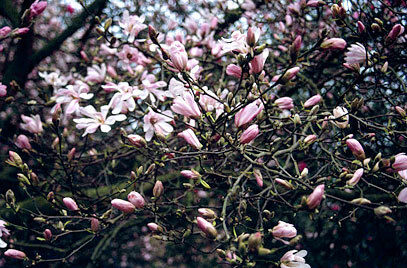 Leonard Messel Magnolia is a small tree suitable for a gardens. Its velvety buds appear from January onwards and these bloom into a display of pink tinged delicate scented flowers in April / May. The green leaves turn yellow in the autumn. Magnolia loebneri Leonard Messel prefers a free draining soil in a sheltered sunny position and it is reasonably lime tolerant.